Legal 500 Asia-Pacific 2018 – Recommended firm in Dispute Resolution, Competition, Insurance, IT/Telco/Media and Transport. Asialaw Profiles 2019 – Outstanding firm in Insurance, Highly recommended firm in Dispute Resolution, a recommended firm in Competition & Anti-trust and IT/Telco/Media. 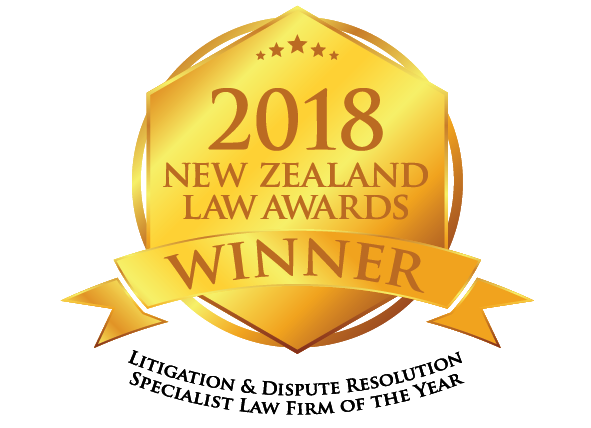 NZ Law Awards Litigation and Dispute Resolution Specialist Law Firm of the Year 2014, 2015, 2016, 2017 and 2018.